The Smoking Man is dead. Gone. Done. Fin. 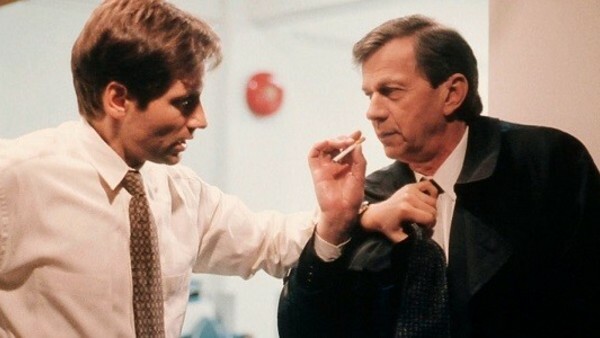 CGB Spender, the Cigarette Smoking Man, was the Darth Vader of The X-Files. One of the greatest TV villains of all time, his portrayal by William B. Davis was near-perfect, giving fans an iconic antagonist for Mulder. And while he had more lives than a cat, surviving several assassination attempts carried out by his fellow conspirators, in the finale of the series, he died. Without question. 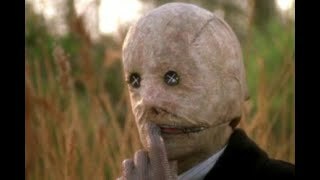 Even if Chris Carter claims that no one really dies on The X-Files. Simply put, a rocket launched from a helicopter hit him square in the face. Fans watched the flesh burn from his bones, leaving a maniacally evil grinning skull behind. Why, then, has William B. Davis been added to the cast of the revival? While he was a huge part of the show, his story is, frankly, over, and any return by the Cancer Man would seem forced. Davis is still an active participant in genre fare even as he approaches his 80s, so there's no question about his abilities, but short of flashbacks, how would he even take part? IMDB (not the most accurate at times) has him listed as taking part in all six episodes, which seems unlikely, but anything more than a cameo in a flashback becomes problematic.